I use about about 6-7 medium sized sprouts per serving, but this may seem a bit large for most people, so adjust cooking times and amounts to suit yourself. 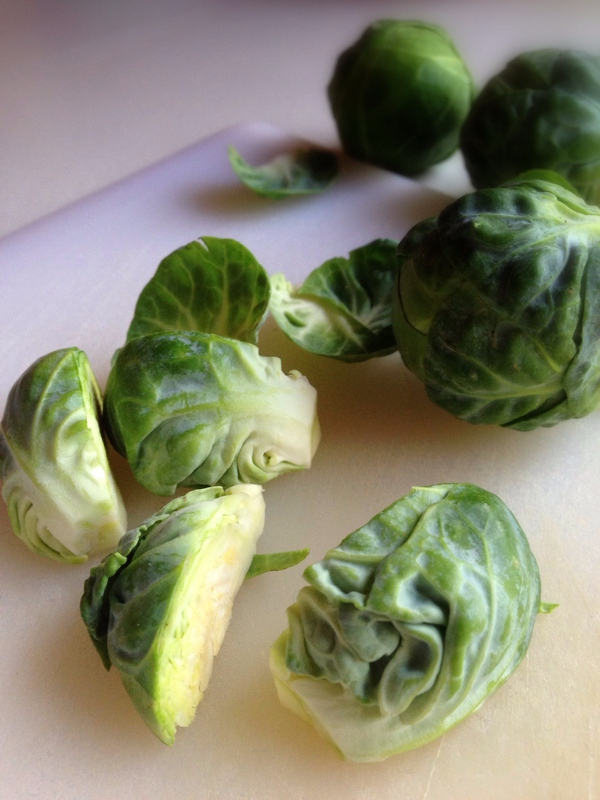 Cut the stem ends off, and then quarter the sprouts before steaming. Once they are steamed (I microwave 7 sprouts, quartered, and rinsed, on high for three minutes, then rest a minute, then on high for one additional minute.) They need to be tender because the sauté step does not really cook them any more done, it just gives them a nice caramelised colour and flavour. Heat a non-stick pan to medium heat with about 1-2 tsp of ghee, or coconut oil. Add hot sprouts and toss until they are coated with the oil/ghee. Add about 1 T of slivered almonds to 7 sprouts, and also about 1T dried currants. 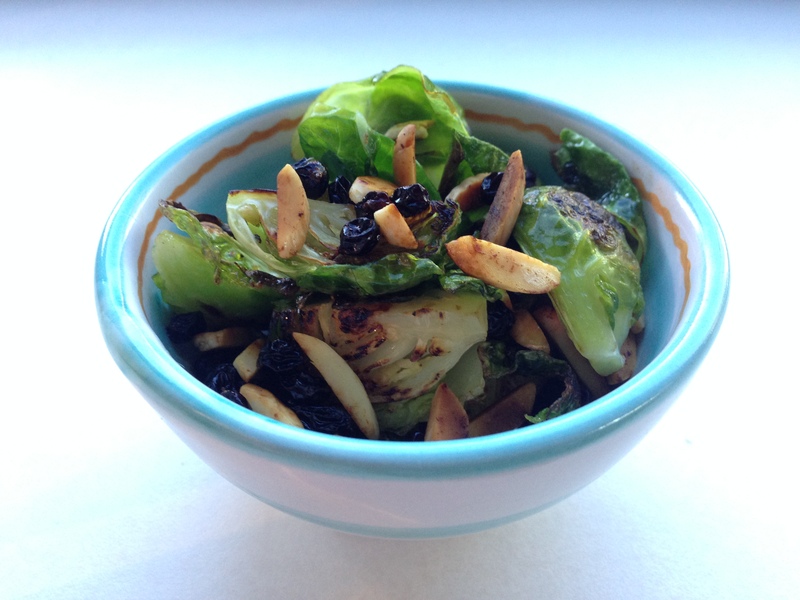 Toss every minute or so until the sprouts take on a bit of golden colour and the slivered almonds as well. Make sure the almonds are toasted as this complements the sprouts very well, but will let it down if the almonds are still raw. Sprinkle with a bit of sea salt, toss and serve.